I once got scared because my room was “too warm”, I thought maybe a ghost was using reverse psychology and making the room cold was too obvious. I think this explains why I tend to stay away from Zombie novels. I get freaked out easily and do not like to be scared. 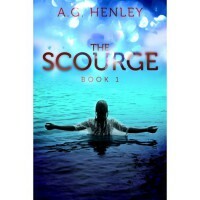 I am so glad I got over my fears and read The Scourge though, because it is now one of my favorite reads of 2012! The novel follows Fennel, a Groundling, who because she is blind is tasked with gathering water for both The Lofties, who live in the trees and her people during attacks of the Scourge. Because Fennel is sightless she is immune to the Scourge. To protect her during water gathering Fennel has a Lofty protector, Peree, who she begins to trust despite all of the terrible things that have been said about his people. The plot twists in The Scourge kept me on my toes at all times. Just when I was starting to get used to the world Henley pulled the rug out from under me. I was forced to reevaluate everything I thought to be true about the society. This happened to me more then once and showcased Henley’s talent as a storyteller. The characters in The Scourge immediate sucked me in to the story and instantly had me rooting for them. I have never read a book written from the perspective of someone who is blind. It was refreshing to read about how Fennel perceived the world without ever being able to see it. Despite Fennel’s lack of sight I felt like she saw more then those around her. Peree was incredibly likable. I loved listening to the stories he told and his strength. His dedication to Fennel felt completely natural and melted my heart. The romance was one of my favorite things about this story. It was sweet, slow, and didn’t overshadow the plot twists. 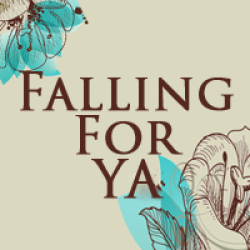 The romance complemented the story and was believable. The Lofties and Groundlings have spent generations resenting each other, Fennel and Peree are not going to instantly put that behind them. Fennel’s mixed feelings were natural. Overall, I loved this novel. If you are nervous about picking up The Scourge because it is self-published do not hesitate! I mean it run to your e-reader and download this novel. It was amazingly well written and completely addictive. I could not stop reading until I was finished and even now I am eagerly awaiting the release of the sequel!